by the non-profit group Save Our Cemeteries. Here are a few of the pictures. 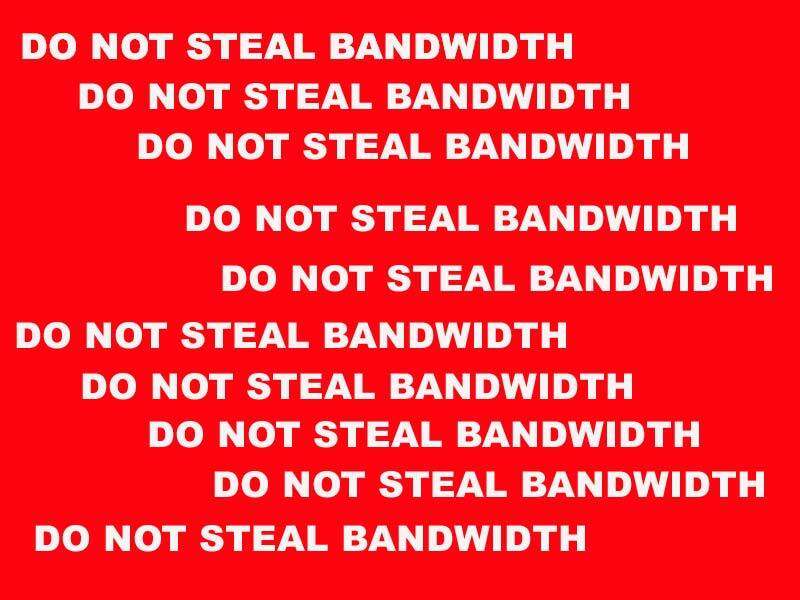 Click on the thumbnail to bring up a larger version. Use the Back button on your browser to return. With the exception of Jackson Square, these were all snapped at the St. Louis No. 2 cemetery. This shrine is right inside of the entrance. 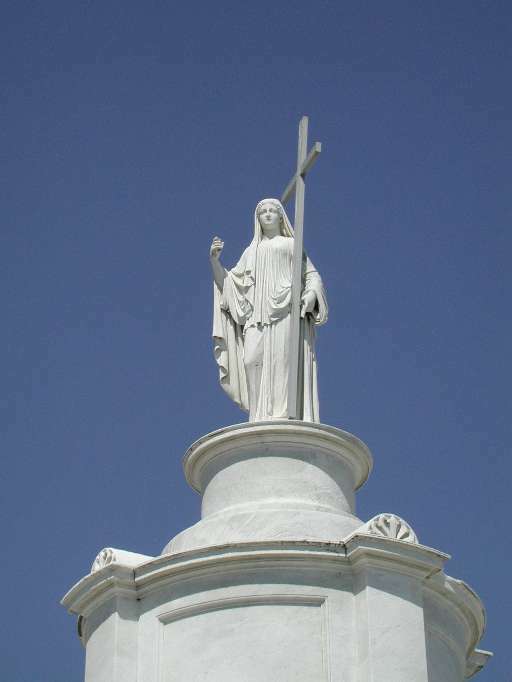 Statue atop one of the benevolent society tombs. A number of these distinctive iron crosses have been stolen from tombs and put up for sale. A lonely angel with no head and broken wings rests atop a tomb. 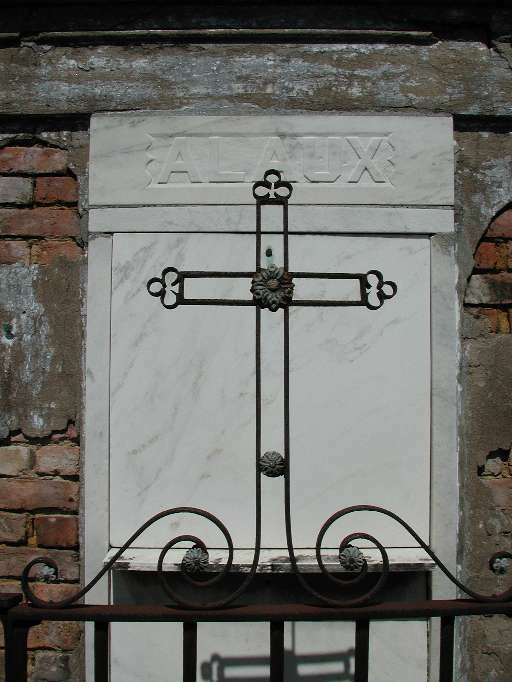 The New Orleans cemeteries are famous for their "oven" tombs, so-named because of the shape of the opening. 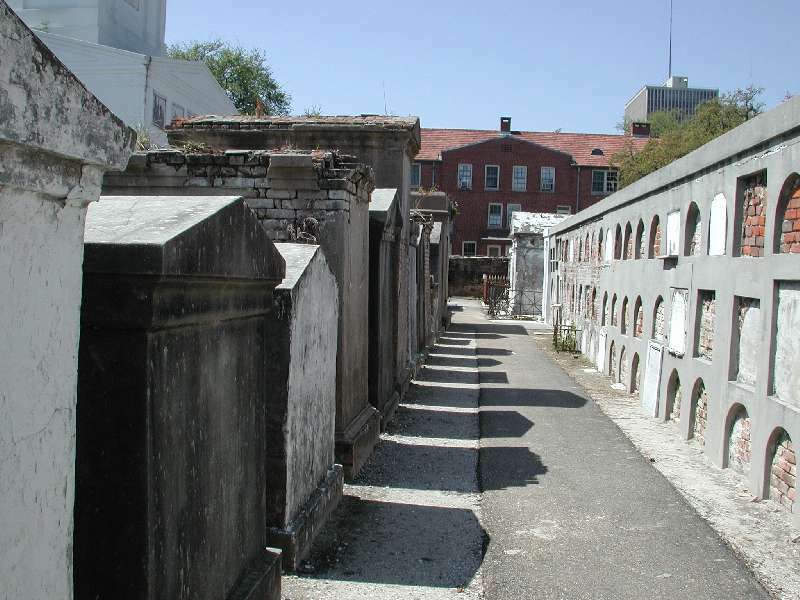 Said to be the location of the burial spot of Marie Leveau, the Voodoo Queen. 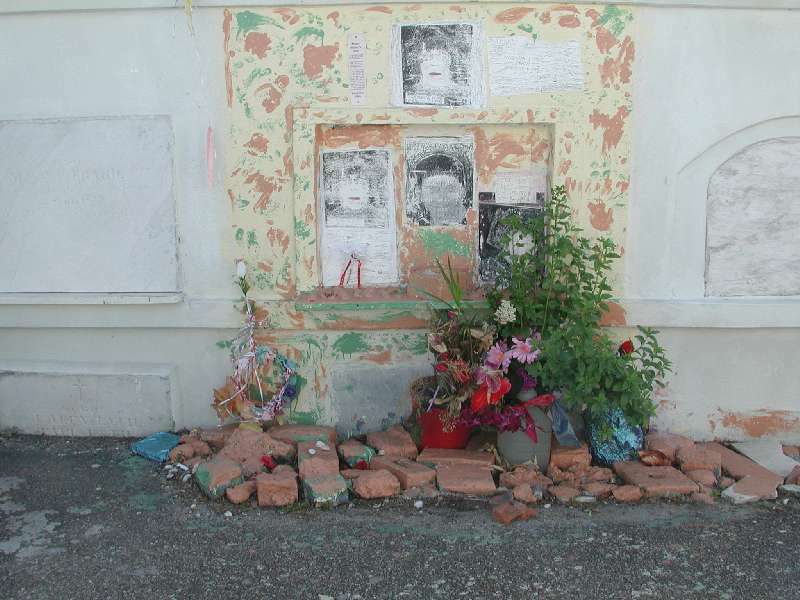 Apparently this is actually the burial spot of her daughter - who was also known as Marie Leveau. 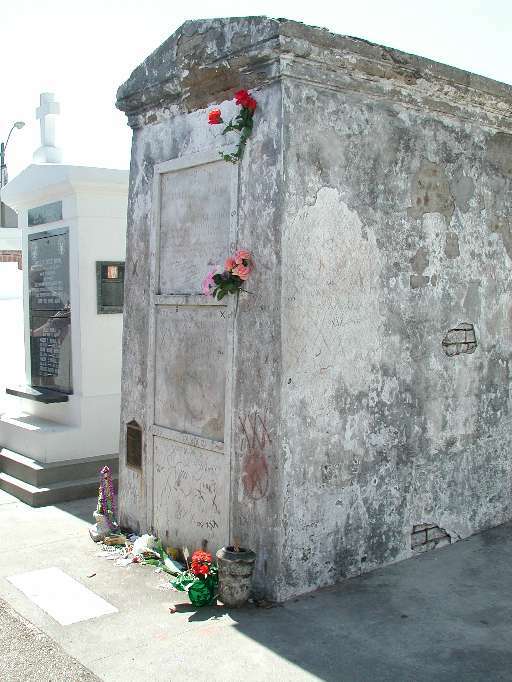 Current evidence shows that the Voodoo Queen herself may be buried at St. Louis No. 1 Cemetery. Note the Voodoo offerings and markings on the tomb. The well-kept tomb to the left is that of a prominent family in the city. 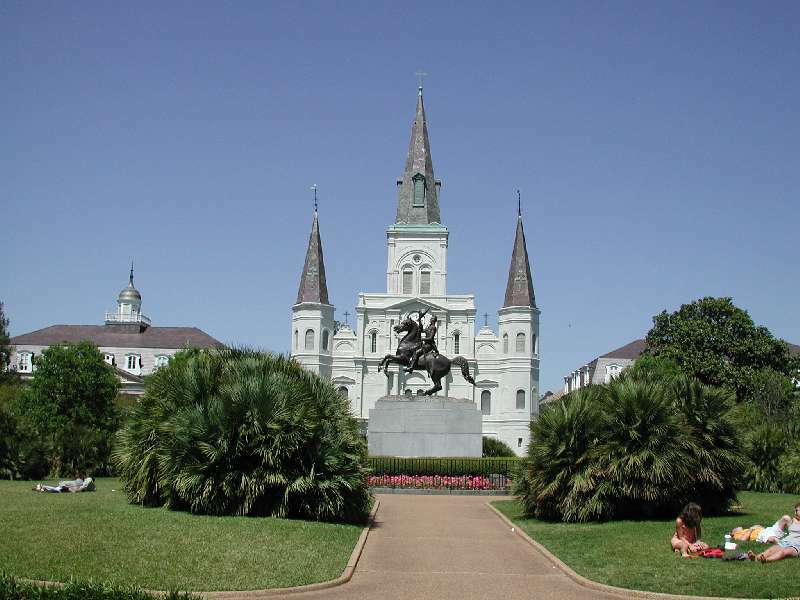 Jackson Square with the St. Louis Cathedral in the background.